Out last night with some of the boys down town in Bristol. A couple more pubs to add to the venue list (a couple of old favourites). First up was the Lloyds No 1 bar at the V-Shed on the waterfront, owned by Wetherspoons. This chain of pubs is renowned for value for money. The pub was not crowded, the beer was cheap, unfortunately forgotten what brand I was drinking (it was real ale and they were on special). Few patrons on the dance floor, one in particular thought he was John Travolta …definitely an older crowd, could even make you feel a bit young (yes I know ….. but it is all relative). 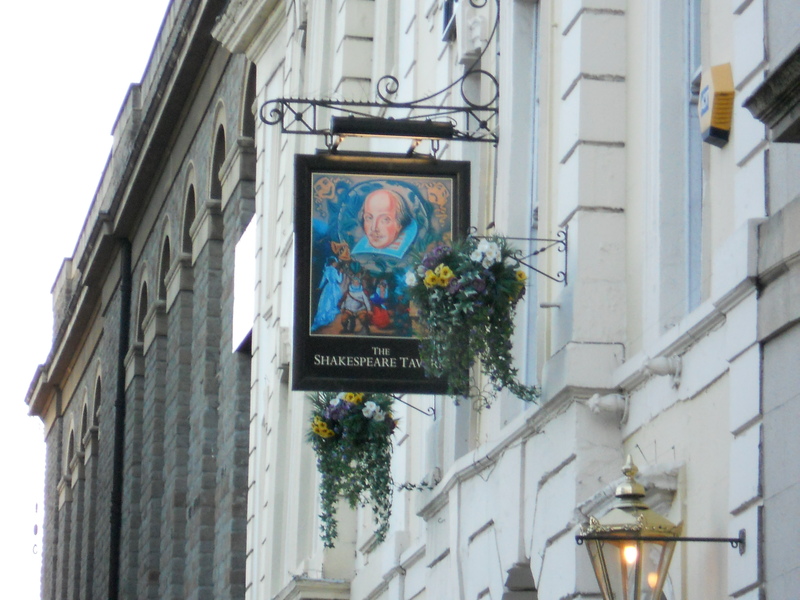 Second pub was a tried and tested old favourite, the Shakespeare pub in Prince Street (there are a few pubs called the Shakespeare). This pub is an old Georgian house which dates back to the 1700’s. I can quite imagine when Bristol was the major port in England that this would have been the home of a very rich merchant. The pub had a good variety of beers on tap, 2 bars – both quite small and a very homely, traditional feeling all round (this used to be the starting point for a few of us to meet up before going out on the lash up down King Street before hitting the night clubs). 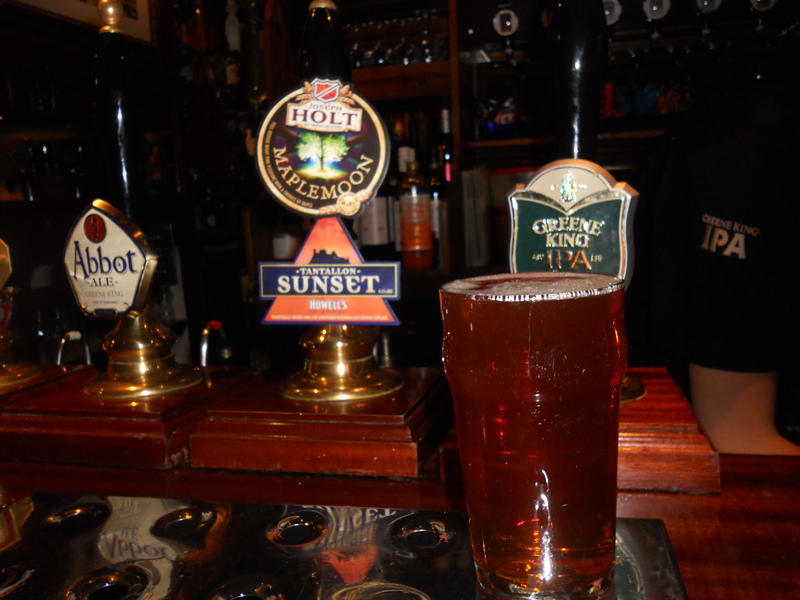 I went for a beer I have had not had before .. Holt Maplemoon Tantallion Sunset from somewhere around Manchester, looked good, drank well, the palate though had been dulled a little bit though from previous beers .. A few patrons in the bar and couple who had stayed too long and were given their marching orders. A great pub though. The last pub, we frequented was in King Street (quite few old pubs along the cobbled street , the infamous Naval Volunteer (the volly). This pub also goes back to the 1700’s, two long rooms, plenty of snugs and two street entrances. 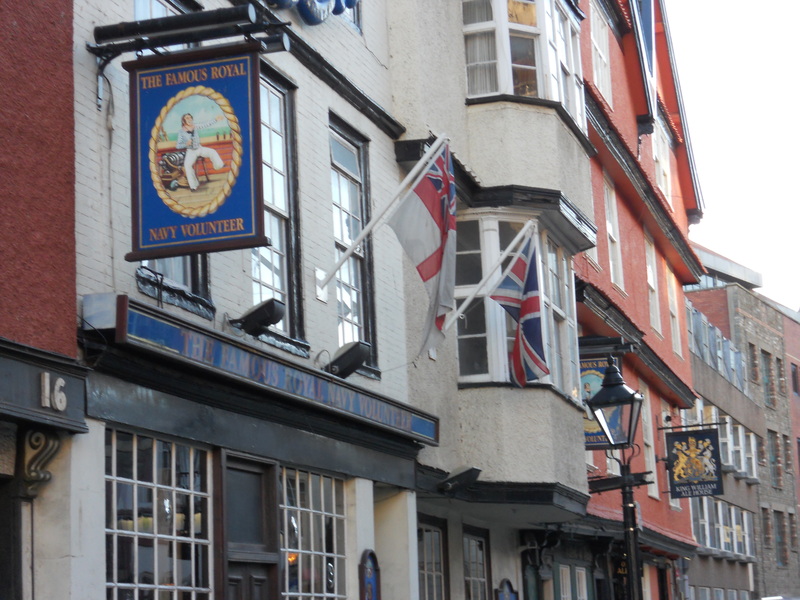 Easy to imagine sailors and pirates drinking here, and easy to imagine ‘volunteers’ accepting the King’s shilling (a coin dropped in your ale) and waking up on the way to some far off land. Another regular haunt for me, although as in its past history, it could be a bit willing … as for beers, I went for a Doombar …. I have had this before in Australia (Perth), not sure if it is on the list. Funny as I finish this blog off I am on the Bristol to London National Express … and on to the big bird to Oz. Brissul forever …. a few other scoundrels may have said. Penultimate blog on this UK trip .. will do a wrap up on do and don’ts when back in Oz. I’m sure a few Doombar flavoured tears were shed as you jumped on the big bird back to Oz. Not a bad place to return to…. except for the schooeys of Tooheys waiting for you at the other end ! !